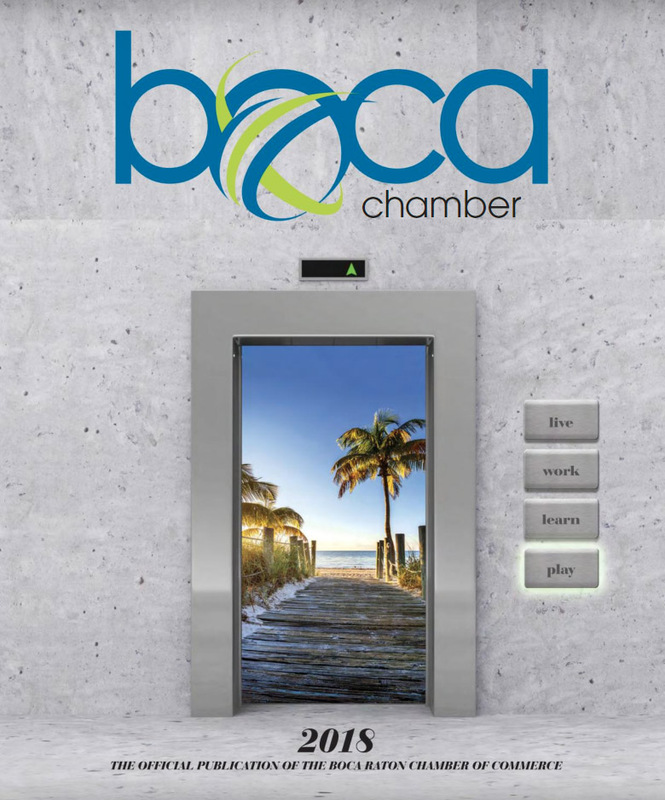 The Boca Chamber Annual Directory is a business magazine that is perfect for both individuals and companies that are looking to relocate to Boca Raton or South Palm Beach County. 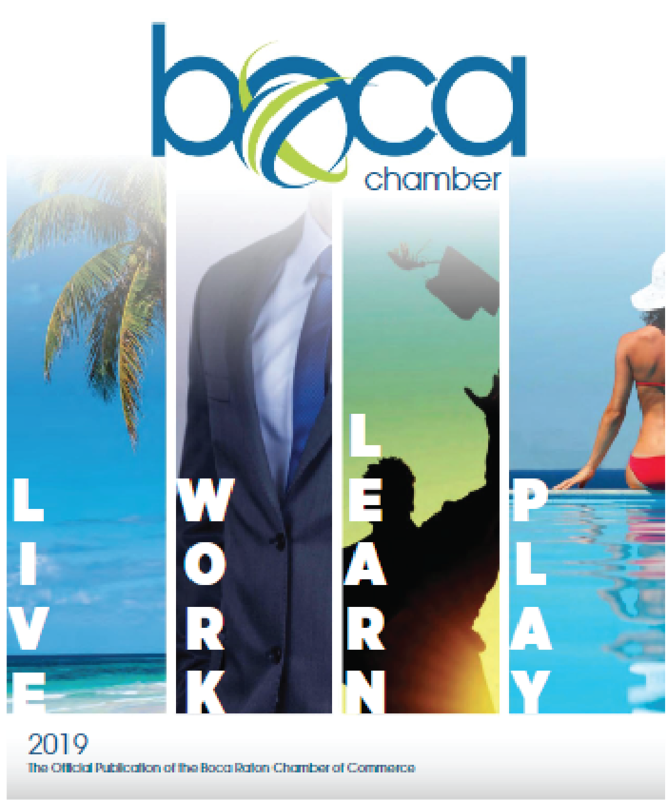 It includes detailed information on the business community, education, health care, residential, recreational and even a map of the city, important phone numbers and a letter from Boca Raton’s mayor and the Boca Chamber’s president & CEO. Additionally, it includes a business directory both by business classification and by business name along with a trustee directory. 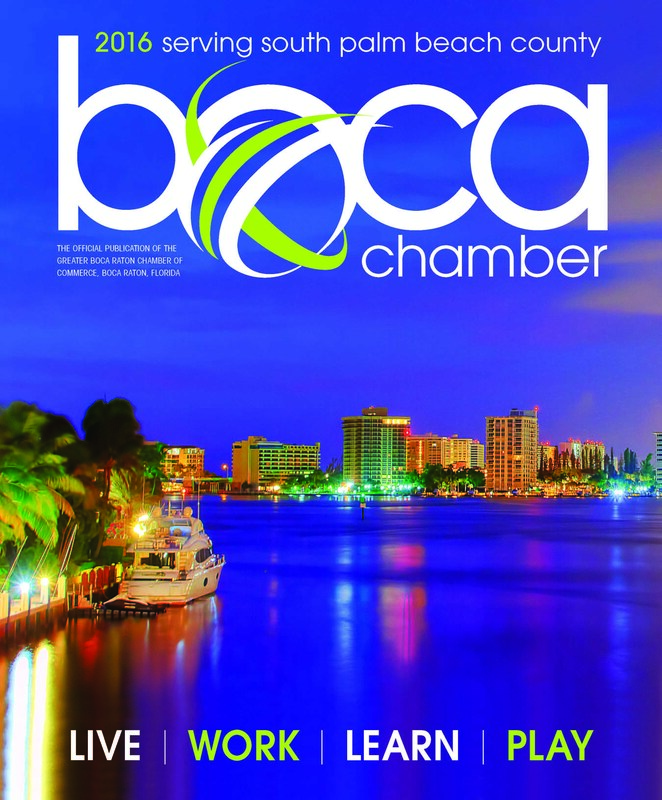 This magazine is definitely your go to magazine for EVERYTHING Boca!